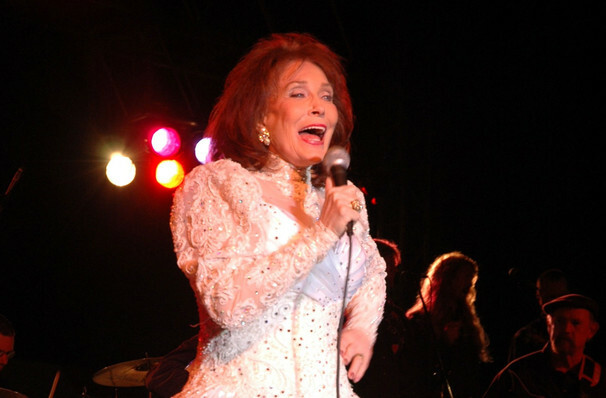 Why See Loretta Lynn - An All-Star Birthday Celebration? Nashville icon Loretta Lynn is perhaps the musical capital city's most eternally popular female country performer. For almost six decades, the songstress has been an unwavering symbol of strength, defying old school gender norms by writing and singing about the experiences of working-class women with a fiery candour and emotive vocal style. Reported to never have celebrated her birthday before, Lynn is set to be the center of a birthday blow out concert fit for royalty this spring! Turning 87 years old, Lynn invites an all star line-up of country musicians to help honor her considerable legacy. Featuring the likes of Garth Brooks, Jack White, Trisha Yearwood, George Strait, Keith Urban, Martina McBride, Brandy Clark, Darius Rucker, Miranda Lambert, Pistol Annies, Little Bigtown, Kacey Musgraves, Margo Price and Alan Jackson, the star-studded bill is a veritable who's who of Nashville's modern music-making heroes. They'll be joining Lynn on stage for freshly arranged renditions of classics like Coal Miner's Daughter, Don't Come Home A' Drinkin' and Fist City, in a sonic celebration like no other. To top it off, net proceeds from the event go towards the Opry Trust Fund and the Country Music Hall of Fame and Museum. Sound good to you? 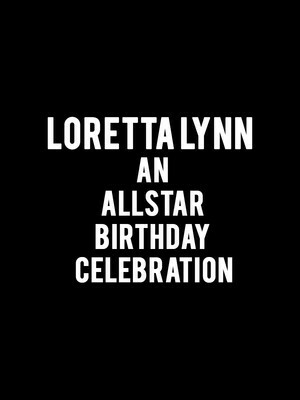 Share this page on social media and let your friends know about Loretta Lynn - An All-Star Birthday Celebration at Bridgestone Arena. Please note: The term Bridgestone Arena and/or Loretta Lynn - An All-Star Birthday Celebration as well as all associated graphics, logos, and/or other trademarks, tradenames or copyrights are the property of the Bridgestone Arena and/or Loretta Lynn - An All-Star Birthday Celebration and are used herein for factual descriptive purposes only. We are in no way associated with or authorized by the Bridgestone Arena and/or Loretta Lynn - An All-Star Birthday Celebration and neither that entity nor any of its affiliates have licensed or endorsed us to sell tickets, goods and or services in conjunction with their events.